An early sellout suggests renewed interest among advertisers, but the real draw may be the controversy. Denzel! Casey! Emma! Viola! The stars! The fashions! The hoopla! It's "The 89th Annual Academy Awards," live on ABC this Sunday, as an array of considerably more diversified faces compete for the coveted statuette. Considering the audience erosion for the "Academy Awards" last year (34.3 million viewers in 2016 marked an eight year low and the third least-watched Oscars telecast ever), ABC must be relieved it has already sold out all commercial time for the festivities, which have been a network mainstay since 1976. This year, 30-second spots sold for a reported average $2 million, which is a rise from the $1.72 million tally per spot last year. The roster of advertisers will include AT&T, AARP, Adidas, Walmart, Samsung, McDonald's, Anheuser-Busch, FX, Geico, Revlon, The New York Times and Verizon. Last year, #OscarSoWhite was the dominant hashtag on Twitter thanks to the total lack of non-white talent nominated for acting awards. This year, Viola Davis in "Fences" and Mahershala Ali in "Moonlight" are considered locks in the supporting acting categories, while "Fences" star Denzel Washington, competing for his third Oscar, is suddenly the favorite to win over "Manchester by the Sea's" Casey Affleck. This year, seven of the 20 acting nominations went to people of color—a new and welcome record. The trend toward inclusivity extends to the films this year, as well. Unlike recent years, when the frontrunners were little-scene pictures like "Spotlight," "Birdman or (The Unexpected Virture of Ignorance)" and "12 Years a Slave," this year's expected Best Picture winner, "La La Land," was an actual box office hit, raking in nearly $300 million in the US so far. If it wins, it would be the highest-grossing Best Picture winner since "The King's Speech" in 2010. Historically, the size of the "Oscars" audience reflects the popularity of the most-honored films (the record remains 55 million viewers in 1998, when "Titanic" was named Best Picture). So that combined with the lack of racially driven boycotts, formal and otherwise, would seem to justify the renewed interest from advertisers. But this being 2017, when all entertainers struggle to compete with the 24-hour reality circus that is the Trump White House, there is an X factor that may be driving both audiences and buyers to Hollywood's biggest night. Yes, the movies and actors are a bigger draw this year, said Rob Russo President of RNR Media Consulting. "But I have to imagine the buying community also thinks the ratings are going to be higher because of the expected protest speeches. Come Monday morning you do not want to be the person who did not see somebody say something controversial." "I think the ratings will be reflective of that," he added. Meryl Streep set the tone at the "Golden Globe Awards" in January, using her acceptance speech to voice her disgust with President Donald J. Trump's mocking impersonation of a disabled reporter while on the campaign trail. Then there was "Moonlight's" Ali at the SAG Awards reacting to Trump's travel ban. And this year's "Grammy Awards" were notable for the number of musical performances with overtly political themes. Of course, politics at the Oscars is nothing new. Richard Gere, Susan Sarandon and Tim Robbins all used the stage to deliver political messages in the 90s. In 2003, documentary filmmaker Michael Moore sparked controversy by using his acceptance speech to blast President George W. Bush, and in 2009 Sean Penn used his Best Actor win ("Milk") as a chance to plug gay rights. Even in the current climate, it's hard to imagine any protest as memorable or creative as Marlon Brando sending Native American activist Sacheen Littefeather to refuse his Best Actor award in 1973 for "The Godfather." What's different today is the social activity that accompanies any awards show, particularly the Oscars. 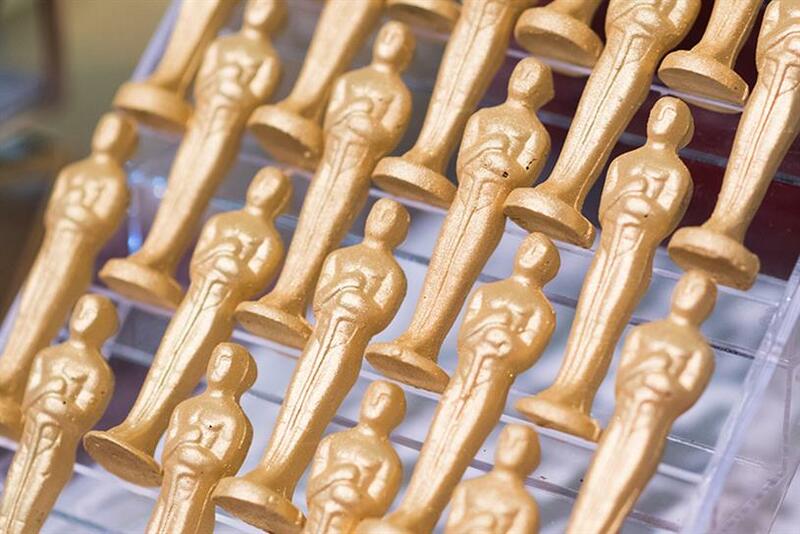 "For advertisers looking for a broad reach and an upscale audience, the Oscars is one of the few vehicles that can still deliver in this fragmented world of TV," said Billie Gold, VP director of programming research at Amplifi US. "Not only is the audience big, but it's social, ranking among the most active events of the year on social media." Combine that with Twitter's usual Trump-fueled chatter—which is as contentious as it is endless—and you have the recipe for an impressive surge of engagement coming this Sunday. "If I was a buyer at an agency this year, I would have absolutely recommended the Academy Awards," said Russo. "With all this controversy going on, coupled with the added star power, the greater diversity and the bigger box office, it should a win-win situation for everyone." Well, maybe not for everyone. We'll see who Mr. Trump tweets about on Monday.